I was nominated for the Semper Fidelis Award today! 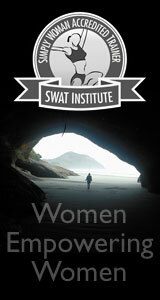 This beautiful surprise came from my blogging friend Tazein, over at Transcending Borders Blog! 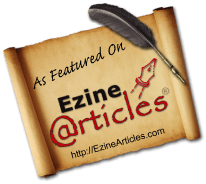 If you have not been to her blog take a moment now to visit and browse; you will not be disappointed! 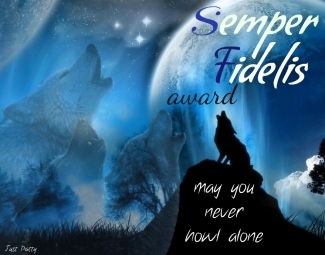 1-Add The Semper Fidelis Award logo on your blog. 2- Thank the person who nominated you and link back to their blog. 3-Nominate 5 bloggers whose loyalty and friendship you value and you consider being part of your ” pack of wolves” on WordPress. 4- Post something special for all your nominees and dedicate it to them. This can be a quote, saying, poem,picture, anything that would fit that person. 5- Let the nominees know that you have nominated them. ← As I Sit Here………….. Thank you for the nomination and congratulations on yours.